Sea Dredger Pipes of Kuzeyboru are produced from polyethylene raw material. Sea Dredger Pipes are welded with flanges and flange adapters to connect the pipes each other. We produce from Ø160 up to Ø800 diameter. Due to the high resistance of the polyethylene, which has shown chemical resistance, it is served for at least 50 years without being affected by sea salt. Treatment plants are primarily subjected to pre-treatment, which is known as the cleaning of solid wastes that can be trapped in the wastewater dredgers. It then goes through biological purification with bacteria. If the bacteria are produced and cleaned in biological treatment plants, the obtained water can be reused as drinking water. It is a very good investment for settlements with drinking water resources. The largest source of facilities is the nature itself. Sea Dredger Pipes -which also used in- sewage waters that pass through the pretreatment process cause a very bad odor in the seas when they are given to the sea. The water is not cleaned. The reason for this is that the wastewater concentration is high and that the bacteria do not have the oxygen needed. For this reason it is necessary to bring the water to the sea current in order to decrease (dilute) the concentration of the wastewater. Thus, the wastewater with high concentration will be diluted and will not contain the oxygen needed by the bacteria. Sea discharge pipes are needed for all these operations. 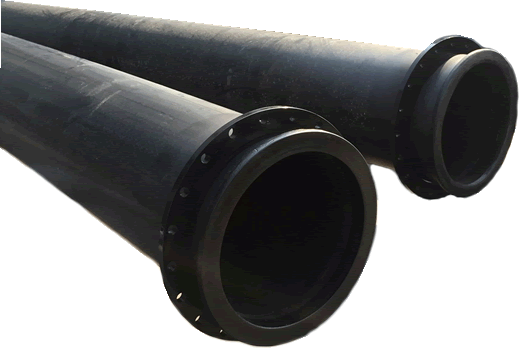 We produce Sea Water Dredging Pipes, HDPE pipes and after comprehensive technical studies, we source them together with our expert team to reach the project owners. Dredging Pipes can be produced in different pipe lengths, they are usually produced in different forms in accordance with the lengths of the container, 11.8 in length or 12 m / 13.5 m in the shipments to be realized by truck, with welded, extruder welded and electrofusion welded joints. The two sides are joined by flange and flange adapters. There is no need for additional parts in welding operations. Ventilation chimneys are used where attachments are to be used. 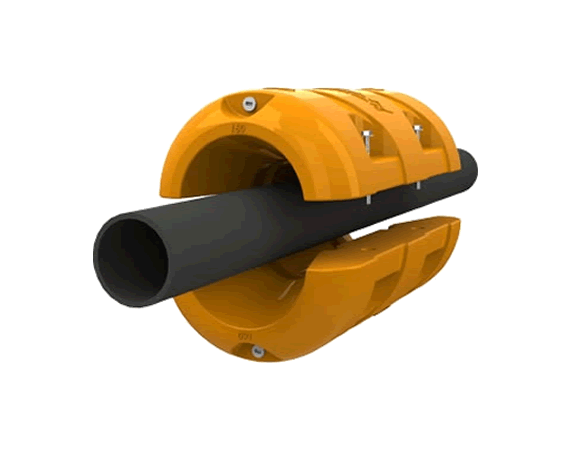 Kuzeyboru dredging pipe floaters are used in marine discharge systems which are the HDPE pipes high-pressure to be float on the water surface and you can preffer safely. Kuzeyboru pipe floaters are made in Polyethylene raw material and filled by polyurethane in order to float over the sea, lakes and rivers with the dredger piping systems. Kuzeyboru technical team calculating your needed rate of buoyancy on the dredging pipe floaters for your marine dredging systems. In the yellow color of hdpe pipe floaters, orange floaters, green or purple floaters are ready to produce according to your project requirement. Kuzeyboru dredging pipe floats because of its lightweight, easy and quick installation, it is the reason for preference in marine discharge projects, mud drainage in agriculture projects. They are durable against abrasion and outer condition, especially resistant to the salt water. Kuzeyboru floaters due to their specility of polyethylene outside and polyurethane filled structure it keeps the pipe on the surface of the water and doesn't allow to submerg.Let's walk together on the sea with the Kuzeyboru Pipe Floaters. Contact us!